This Halloween is truly shaping up to be the season of the box set. Not only did we recently get word of lavish soundtrack sets for Hellraiser and Suspiria, but now Wes Craven's classic A Nightmare on Elm Street is getting similar treatment. 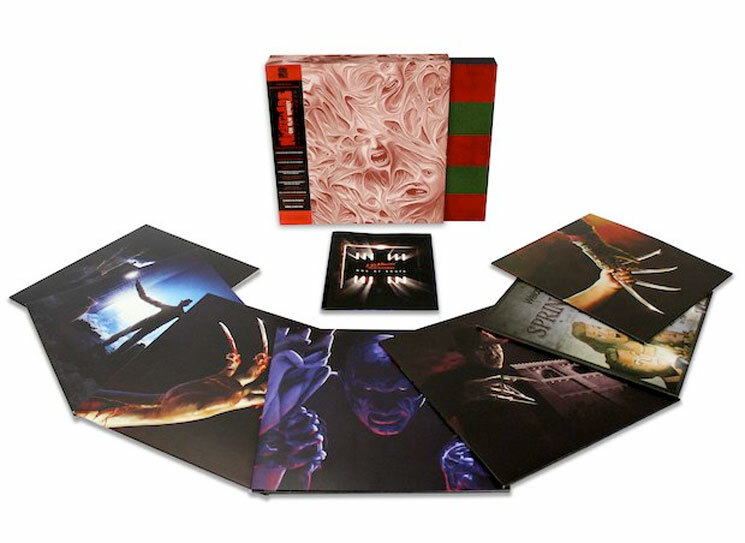 After much teasing, soundtrack hub Death Waltz has confirmed it will release a new Nightmare on Elm Street box set called Box of Souls, which will present vinyl reissues of the first seven films in the series. It all amounts to an 8-LP set, which will go on sale Wednesday (October 25). Among the highlights are of course the original 1984 film's classic score by Charles Bernstein. There's also Twin Peaks soundtracker Angelo Badalamenti's much-loved musical work for A Nightmare on Elm Street 3: Dream Warriors, as well as Christopher Young's soundtrack for Freddy's Revenge. Death Waltz will apparently be hitting the pause button on the coloured vinyl game and reissuing these simply on 180-gram black wax, which has all been remastered by James Plotkin. The set also features a 12-page booklet with extensive liner notes and interviews with key composers and cast members, including Charles Bernstein, Mark Patton, Jack Sholder, Ira Heiden, Craig Safan, Lisa Wilcox, Jay Ferguson, and Charles Brigden. The box set also comes with new original artwork from Mike Saputo, and you can get an idea of what the set all looks look above. You can also check out more images of the new artwork over here.